Did you know you can use your Alaska Airlines boarding pass to redeem incredible ski deals, including free lift tickets? We’re also making it more affordable to fly with your gear. Instead of charging oversize bag fees, skis and snowboards are treated as regular checked bags subject to our standard fees. And don’t forget: Eligible Alaska Airlines Visa® cardholders get their first checked bag free, including their ski or board bag. Alyeska Resort sits in the heart of Girdwood, a glacier-carved valley. To the west and north, the mountains of the Chugach State Park provide a stunning backdrop over Alyeska. 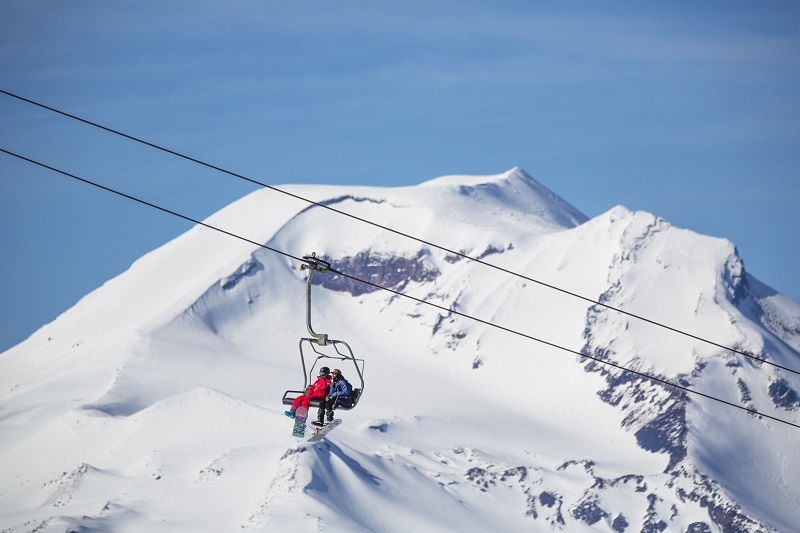 Alyeska is an established ski destination known for its steep terrain and deep snowpack. With expansive mountain and ocean inlet views, Alyeska boasts an average 650″ of annual snowfall at the summit. Present your same day boarding pass and ski free Monday through Friday. Learn more. With a scenic mountaintop beginner area, unmatched intermediate and advanced terrain, and incredible views of Lake Tahoe from every peak, Squaw Valley and Alpine Meadows are one of the top ski destinations in North America. The resorts offer 6,000 acres of world-class skiing, as well as a vibrant European-style village full of lively restaurants, bars and boutiques. A quick shuttle connects the two resorts, and skiers and snowboards can experience both mountains on the same lift ticket. Just present your same-day Alaska boarding pass with a matching photo I.D to receive a complimentary afternoon lift ticket good for the day you arrive. Learn more. Photo courtesy of Squaw Valley. If you’re after fantastic snow, don’t look any further than Big White. Our bountiful, dry powder is legendary and was recently voted as the “Best Snow in North America” by readers of Condé Nast Traveler. Big White is incredibly easy to get to – a short 45-minute shuttle from the Kelowna International Airport. When you arrive into Big White, head to the slopes. Simply present your same day of arrival Alaska Airlines boarding pass and ID to the Village Centre Mall ticket office and you’ll receive a lift ticket to start your trip right. Learn more. Ski Marmot Basin is located 12 miles south of the authentic Canadian mountain town of Jasper, surrounded by 4,247 square miles of protected wilderness in Jasper National Park. 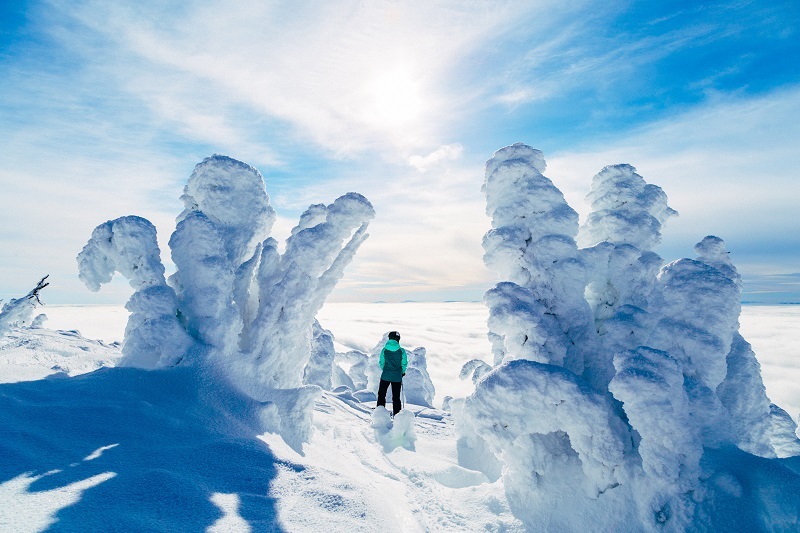 Boasting the highest base elevation of any major ski area in Canada, the ski area receives consistent snow from mid-November to early May each season. Skiers and snowboarders can explore 91 runs and three terrain parks on 1,729 acres of perfectly groomed trails, powder-filled alpine bowls, and treed runs at one of the most uncrowded ski areas in North America. Present your boarding pass or itinerary and photo ID at Ski Marmot Basin Guest Services to receive one of the following offers: Receive a free full day lift ticket or purchase a 3-day consecutive day lift ticket for the price of a 2-day lift ticket. Learn more. Photo courtesy of Big White Ski Resort. Fly Alaska Airlines to Spokane and present your boarding pass and ID to receive a free Adult Lift Ticket. Ticket valid for December 10, 2017 to April 2, 2018. Learn more. Steamboat Resort is famous worldwide for its authentic western atmosphere, genuine friendliness and fluffy Champagne Powder® snow. Olympic heritage also runs deep here in Ski Town, U.S.A.®, where 89 Olympians have trained during their careers. Many of those athletes honed their skills on Steamboat’s legendary snow and expansive terrain, which encompasses 165 trails, 3,668 vertical feet and nearly 3,000 skiable acres across six peaks. This winter, experience firsthand one of North America’s top resorts. Show your boarding pass for travel from Seattle or San Diego to Steamboat Springs (HDN) Airport, to the Steamboat ticket office and get a free day of skiing on your departure date. Learn more. As the largest ski resort in Idaho or Washington, Schweitzer Mountain Resort is quickly rising in the ranks of the nation’s top destination resorts with 2,900 acres of amazing terrain and renowned tree skiing. Schweitzer is well known for its two massive bowls, uncrowded slopes, breathtaking views, and amazing gladed terrain. Ski free the day you arrive when you present your Alaska boarding pass. Only valid for day of arrival. Learn more. Skiers and outdoor-lovers, have an insatiable desire to seek out the wonders of the mountains. It spurs our search for extraordinary experiences. This is wonderlust. Sun Valley is a place that inspires wonder in those who discover it. Its spectacular nature fills souls. Its community feeds passions. Its endless activities fuel adventure. And its arts and culture frees minds. Wonder in. It’s a place called Sun Valley. 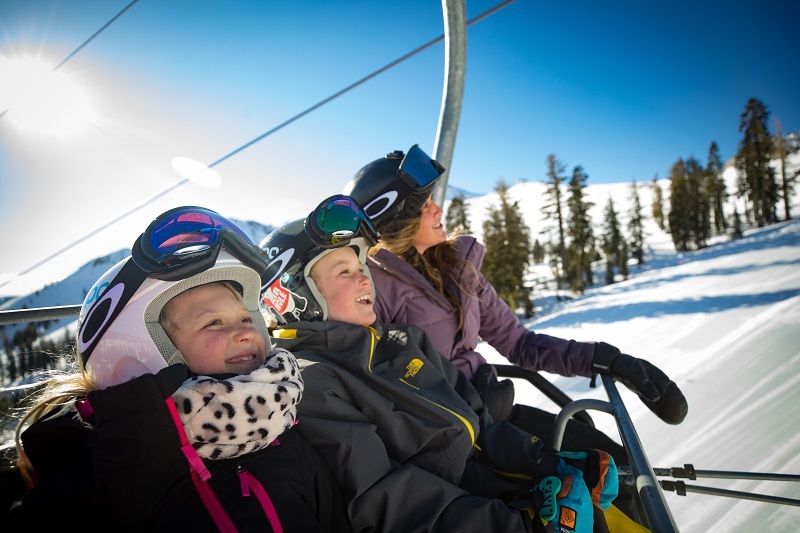 Redeem your Alaska Airlines Seattle to Sun Valley boarding pass for one of these offers: a free sports package rental at Pete Lane’s Mountain Sports the day after arrival, or 50 percent off an adult group lesson the day after arrival. Learn more. Located in south central Montana, Red Lodge Mountain boasts 2,400 vertical feet and over 1,635 acres of groomed runs, glades and chutes to explore. The resort is known for offering an authentic Montana experience: no long lines or high prices; just great snow and great people. The laid-back vibe bleeds into the town of Red Lodge, with a quaint downtown boasting history and scenic vistas. Ski free on your day of departure. Simply show your boarding pass on your day of departure at any ticket window to redeem a ticket. This offer is limited to one free ticket per boarding pass presented, cannot be combined with other offers and has no cash value. Learn more. Since 1947, Whitefish Mountain Resort has welcomed skiers and riders seeking a mountain that is uncrowded, beautiful, and affordable. Rising above the town of Whitefish, in beautiful northwest Montana, in the backyard of Glacier National Park (only 35 miles away), the resort charms its guests with a friendly fun-loving vibe, variety of terrain, and virtually no lift lines at an unbeatable value. 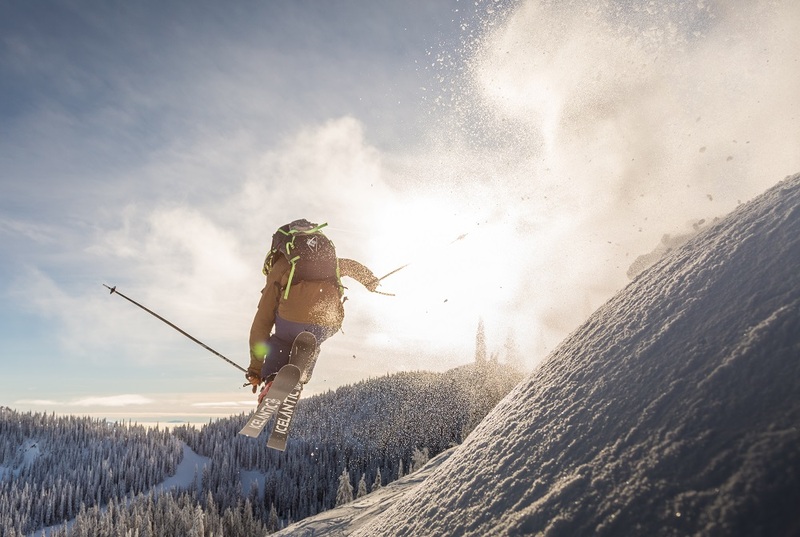 Whitefish’s Big Mountain is the quintessential skier’s mountain averaging more than 300 inches of snow annually on 3,000 acres of bowls, chutes, and glades on all aspects. Ski free on your day of departure. Simply show your boarding pass on your day of departure at any ticket window to redeem a ticket. Just 20 miles west of Bend, Oregon sits Mt. Bachelor, the largest mountain resort in the Cascades. Our stunning volcanic mountain (now dormant) features over 4,300 acres of skiable terrain, 3,365 vertical feet and 360 degrees of skiing and riding options off the summit. With over 462 inches of light, dry snow falling on Mt. Bachelor every year, the winter season typically thrives from Thanksgiving deep into May. Mt. Bachelor caters to all ability levels. Mt. Bachelor’s close proximity to Bend and Sunriver makes lodging options, nightlife, and other outdoor pursuits easily accessible. Fly into Redmond/Bend on Alaska and hit the slopes with a free Mt. Bachelor lift ticket, in additional to a sport-performance ski or snowboard equipment rental package the day you arrive. Learn more. 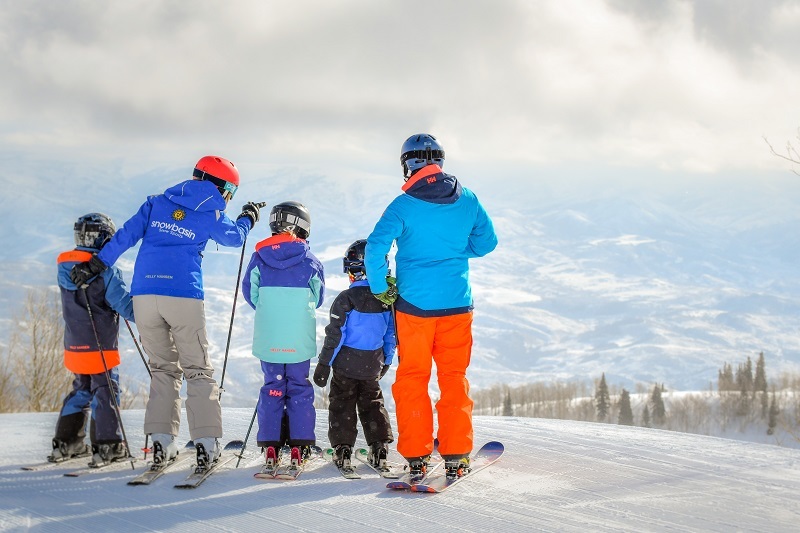 Snowbasin Resort offers 3,000 skiable acres, 3,000 vertical feet, award-winning dining, luxurious lodges, and varied terrain for all abilities, all wrapped into a great value easily accessible from Salt Lake City. Snowbasin is best known for wide-open bowls, manicured groomers, powder stashes days after a storm, and rarely a lift line. For those who like a little luxury with their adventure – experience the best day ever at Snowbasin Resort. Fly to Salt Lake City between Monday and Wednesday and receive a lift ticket to ski free the day after you arrive. Learn more. These promotions are offered by the individual resorts. Please check with your destination before you go to ensure offers are current. Top photo courtesy of Alyeska Resort.